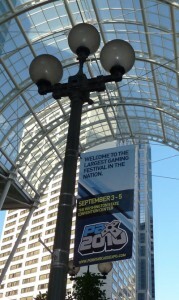 Last week I went to the Penny Arcade eXpo (PAX 2010) which is a fest for the gaming lovers. 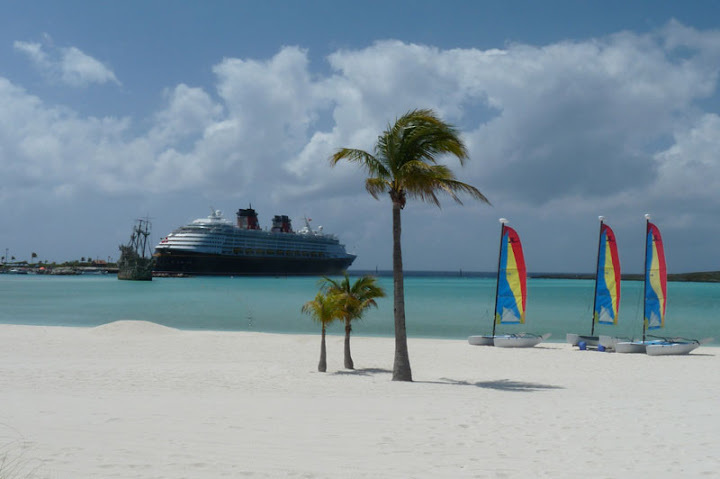 It was a great trip! PAX lasted three day (Friday, Saturday, and Sunday), there were talks, panels, workshops, rooms for gaming, and the expo floor where hundreds of companies were featuring their latest games. 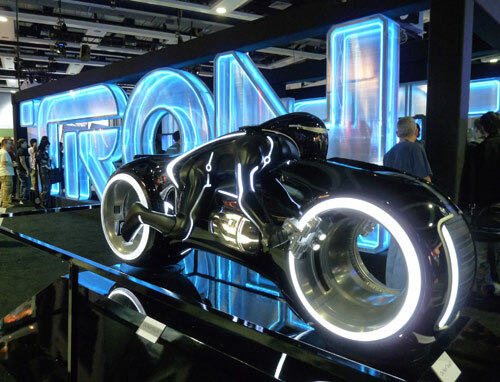 All this took place in Seattle, Washington, USA. PAX ’10 sold out all badges a couple of weeks before the event, and it was indeed very crowded. People would queue for hours in order to have a spot for the keynote, or play one of the hottest games. Talking with other PAX attendees who have been at several PAX editions, it was noticed that the number of people have rocketed. 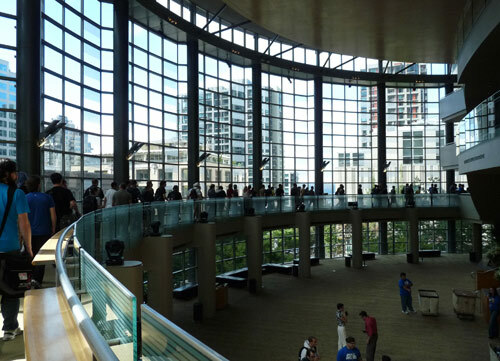 The Washington Convention Center seemed small for all the flocks swarming the floors. 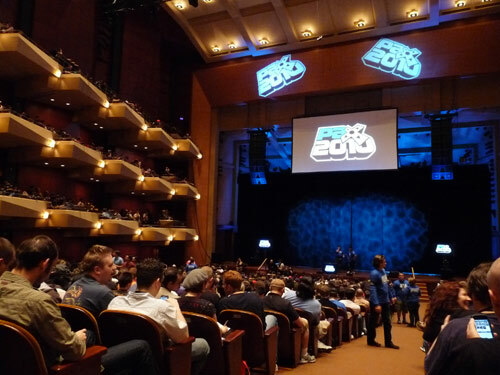 The ‘big’ events such as keynote, concert, and closing ceremony happened at the Benaroya Hall but there was not enough space for all the PAX attendees, and a lot of people were left out. It seems that PAX organizers need to resolve the ratio of people-available space. Panels and talks covered different topics, always leaving time for Q&A which made things more dynamic, hearing the avid geeks’ thoughts and creating a more intimate atmosphere. From all the panesl, I’ll highlight “We Study Games…Professionally: Academic Research and Game Studies”. 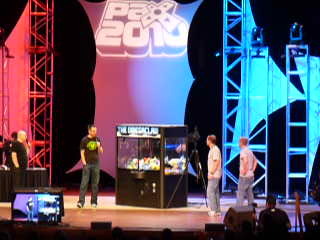 I was really happy that such panel took place at PAX. Christopher Paul (Seattle University), Mark Chen (University of Washington), Nathan Dutton (Ohio University), Todd Harper (Ohio University), and Shawna Kelly (University of Southern California) presented on overview of their work and talked about how the game studies field is evolving. The room was completely full, and people were eager to know more about how studying games works. 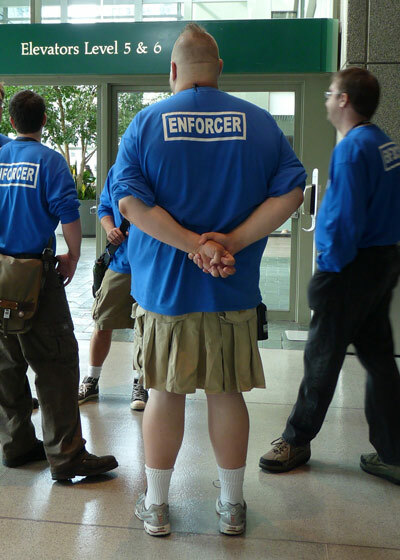 Volunteers at PAX kind, cheerful and willing to help, they are called “Enforcers” which makes things even more hilarious. Wearing kilts was quite popular at PAX. 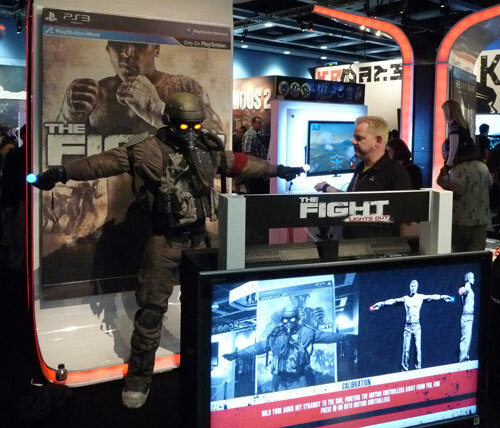 The expo floor was full of games ready to be played (plus your willingness for queuing), demos were also given often, flashy lights and music. It is a truly a never-ending source of data for us, the game user experience folks. It was really interesting to see how fast or slow people would pick up a game and be able to start playing, if they would stay there until the exhibition staff will kick them out or if they would sneak out while trying to be polite. I’ve to run a study there next year! Can personality give information about the games you like? 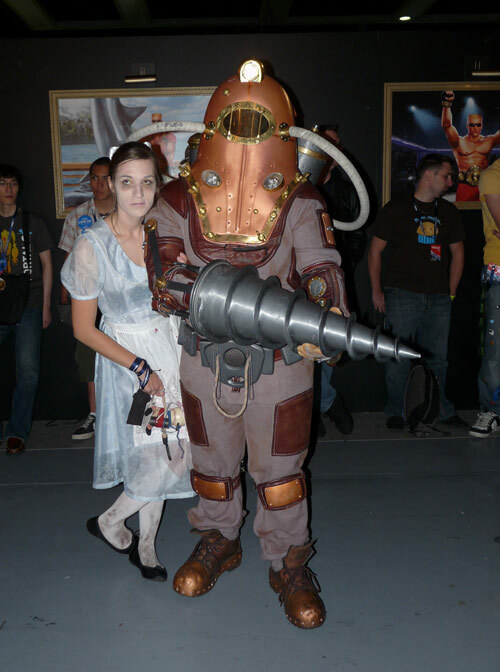 Is your personality playing a role when it comes to choose what games you prefer? Would people with different personalities prefer different games? If so, which games? These are the questions that the work “Gamers’ Personality and Their Gaming Preferences” answers. This work explores that people with certain personality traits would prefer certain video game genres. The motivation is to contribute to demographic game design by identifying gamers’ personality profiles in order to better satisfy their needs and enjoyment. A Gaming Preferences Questionnaire was developed and validated to identify gamers’ preferences. The NEO-FFI questionnaire based on the Five Factor model was selected for measuring gamers’ personality traits. Data from 545 participants was analyzed by multiple linear regression. Eight game genre models were found statistically significant, and accounted for 2.6% to 7.5% of gamers’ preferences for game genres based on personality factors. The relevant personality traits of the models matched game elements of the genre. This work shows that a refined itemization helps to begin to understand the psychological human complexity that drives players’ preferences. 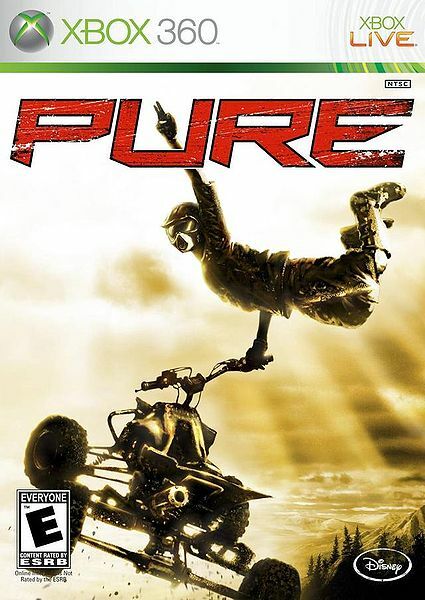 Keywords: personality; game elements; game preference; genre; demographic game design. As a person who has been part of the Scout movement and is part of the gaming research community, I’m really excited to see that the Boy Scouts of America have added the video game badge. This is a great step towards de-demonizing the video game activity by youth. I believe that it’ll help to educate parents and other adults on games since they have to be involved in the some of the requirements to get the badge. It’ll bring for sure more awareness about selecting games and how they fit kids’ life. San Francisco, CA, USA – The 1st Game User Research (GUR) Summit was on March 10th 2010, and it was awesome. The objective of this summit was to gather user-research professionals who work in the games industry, and share experience, knowledge and techniques. GUR summit started with an update of the group by David Tisserand and Bill Fulton. The Games User Research Special Interest Group (SIG) has been created as part of the International Game Developers Association (IGDA), there is a provisional board and the group is taking shape and organization. Graham McAllister talked about ‘Promoting UX: Educating the Video Game Industry on User Research’, he nicely tackled an array of common statements and misunderstandings when people in the game industry are faced to user research, for example from “We don’t need it”, passing through “Our game isn’t ready”, to “We do this”. 1) Focus user research resources to maximize product improvement: how to impact the return-on-investment (ROI), to recognize limits, to be efficient, to have visible success. 2) Do UR in a way that generates more demand for UR: deliver high-quality, acknowledge and optimize the time of the development team, and stay in communication with them. 3) Have the right people 🙂 by rigorous hiring process, and investing in your people. Dmitri Williams from the University of Southern California presented his work on online games and how he harvests information. A lot of the analysis is done with a tool called Katana Analytics Engine. Bruce Phillips showed us the amazing work he’s been doing on player experience using behavioral data at Microsoft Game Studios. The fascinating idea of keeping track of what people do with their XBox live games while players are comfy at their homes. They remotely track data to understand better what happen with the game after is shipped. I presented the work that we, Veronica Zammitto, Magy Seif El-Nasr and Paul Newton, are doing at Electronic Arts. We are looking at game user experience on sports games by employing psychophysiological techniques and telemetry data. We used eye tracking, EMG, HR, GSC to identify the emotional profile of the player. Ben Weedon talked about the work done at Playable Games. First, he showed us how fun and challenging getting feedback from kids can be. Later, he explained the process of international user research and how many things have to be taken into account in order to run smooth sessions for collecting data, for instance just to mentioned a few, the cultural differences and legislation about recording information, power supplies, local translators/facilitators even if you speak the same language, having local assistants. Carla Fisher also works with kids. She shared a chart that leads the comments and annotation when kids try her hand-held device games. Heather Desurvire is a consultant at Behavioristics and faculty at the University of Southern California. She explained game accessibility principles (GAP), a way of evaluating and designing games, and how that can be applied to game tutorials. GUR summit was a great event that strengthened the game industry user research community. Little did we know about sport from the human computer interaction field. Actually, we know very little. Genevieve Bell, Director of the User Experience Group at Intel and keynote speaker at CHI 2010, points out the lack of research about sports and technology. “Sports is a huge money maker, it’s a huge driver of new technology adoption. 40% of Americans when asked why they upgraded to HD, the answer was that sports look better on it. Sports drive new technologies of production in video capture, in dealing with multiple streams of content, and now is one of the drivers of 3D. Yet there are less than 40 papers written over the last 20 years in HCI about sports. And most of them are written about things that are not really sports, they are written about roller coasters, about going on around on motocross in Scandinavia and there is one about going to a Canadian stadium, and that’s it. The Global Game Jam had a total of 53 locations around the world! From Friday January 30th to February 1st we were in the Jam, having a blast. 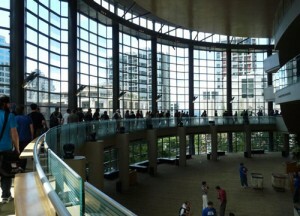 The venue for the Vancouver location was SFU Harbor Center. In Vancouver, we had a total of 27 participants, one of them actually drove from Seattle to be part of the event. Just to give you a glimpse of the great spirit and motivation that reigned. 1) A complete play session has to last 5 minutes or less. 3) To choose one of the following adjectives to incorporate in the game: thin, evolved, or rotating. People pitched their ideas, discuss about them and got into groups. Five teams were conformed: Blobboy, Need Artists Inc., One Tonne Punch, Scorched Physics, and Treelings. There were also mentors who were at the Jam during the whole development process, helping with tips and supporting them, such us Mitch Lagran and Dan Taylor. Saturday went pretty smooth. Everyone was working really hard to get their game. On Sunday, the effort of 2 days was starting to notice, but always with a great atmosphere. At 3:00 pm, they had to stop working and upload their games to the Global Game Jam website, and then everyone was trying the games, including the judges that arrived. We closed the event with every team presenting their game on the big screen, telling about how their idea evolved, some of them showing their prototypes as well. Judges gave their feedback, pointing out strength and weaknesses of those creations made in just 48 hours. We gave prizes to every team. Smiles, handshakes, and eagerness of coming next year for more Global Game Jam. I’m proud of having been part of the organization, happy with the results, and thrill to the human factor of the event local and globally.